Recording an event can be as simple or as complex as you want it to be. Choose a recording workflow that fits your budget, capabilities, and needs. Think about recording gear, whether to record a board mix or room sound or both, and what software to use to record. The audio engineer running the sound for the event will typically have an extra audio output on the sound board that you can use to record a copy of the sound that's heard through the sound system at the event. The appropriate cable should be used to connect the output of the engineer’s sound board to the input of the recording device. If you’re looking for the all-in-one package, the standalone or “handheld” recorder is your best bet. These are devices that are the complete package. They typically contain an external microphone on one side or a few input jacks to plug in audio cables to (some even have both) and have internal storage so you can record directly onto the device. They’re essentially little computers that only do one thing: record. So, most come equipped with screens in order to configure them and some just have a few buttons, such as a single record button. Below are some recommended portable recorders that come equipped with built-in microphones. If you own an iPhone or an iPad there are many microphones and recording interfaces you can choose from that are specifically designed for your Apple device. A USB microphone is a nice addition if you already have a laptop but don’t necessarily have a microphone to record with. With a USB Microphone you don’t need an expensive audio interface, all you need to do is plug the USB Microphone into your computer or iPad and your recording software will see it as an audio input. Most USB microphones should work with either a Mac or PC. If you’re using an iPad the Camera Connection Kit is required in order to use any USB microphone as well as a powered USB hub. USB Audio Interfaces are USB devices that convert analog audio inputs into a digital stream so computers can interpret and save audio signals. Most USB Audio Interfaces are designed to work with desktop and laptop computers. However, due to the popularity of the iPad, more and more USB Audio Interfaces are being designed to work with mobile devices as well. If you’re using a standalone audio interface and you plan on capturing the sound of the room, you’ll need a microphone, preferably a stereo microphone or a matched pair of microphones designed to be used together. Stereo Microphones are easier to use and require less setup since the microphone capsules are already constructed to capture a stereo image. However, stereo microphones tend to cost more. A matched pair, on the other hand, are more affordable, and are essentially 2 separate microphones that require the user to manually position the microphones in order to record a proper stereo image. Here are some recommended Stereo Microphones and Matched Pair microphones. When deciding how you would like to record the show you should consider the different characteristics of the sound recorded by a microphone placed in the room and the sound coming directly from the sound board. 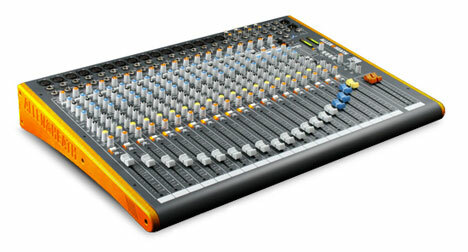 A room microphone will pick up the overall sound/acoustics of the venue and give depth to a recording while the board mix will contain more direct and accurate sounds. During or after recording we recommended applying dynamic compression, artificial reverb, and/or a high pass filter be to increase the recording quality of your sets. Applying compression can help smooth out the difference between the quiet and loud sounds and can generally lead to a more polished sound. Artificial reverb can help accentuate the acoustics of the room the performance was recorded in or can be used to add reverberation to rooms that don’t have a lot of character and give the recording a more lively feel. A High Pass Filter should be used to eliminate the unwanted rumble and low-frequency noise in a recording. Ratio, Attack, Release, Knee, etc.